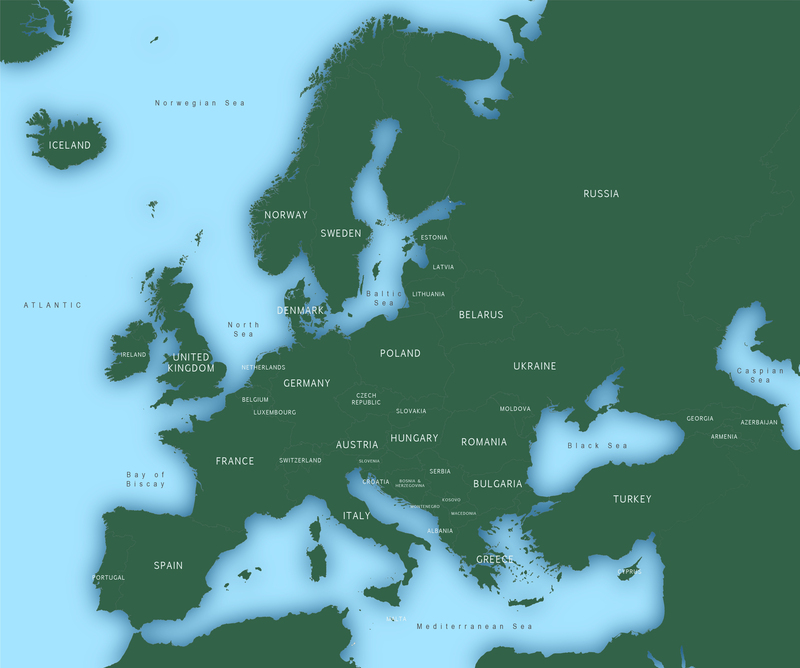 This superbly detailed vector map of Europe with country outlines is licensed for commercial uses. It is built for easy editing, so you can change the colours and scale it how you want, add your own labels and use it in digital and print projects without any restrictions on print run or page views. Accurate vector paths show all the up-to-date country boundaries. The paths fit together perfectly, like a jigsaw, so that you can highlight any individual country or countries. Scaling will work at any size without any gaps or overlaps between the paths. The individual countries each have their own labelled layer in the Illustrator file, which makes them easy to identify and edit. Separate layers contain the map labels for countries and seas. All the main countries are labelled on the map; there are also labelled paths for the mini-states such as Vatican City, San Marino, Andorra, Monaco etc if you want to highlight them. You can turn off the country names with one click of the mouse if you don’t want to show them. 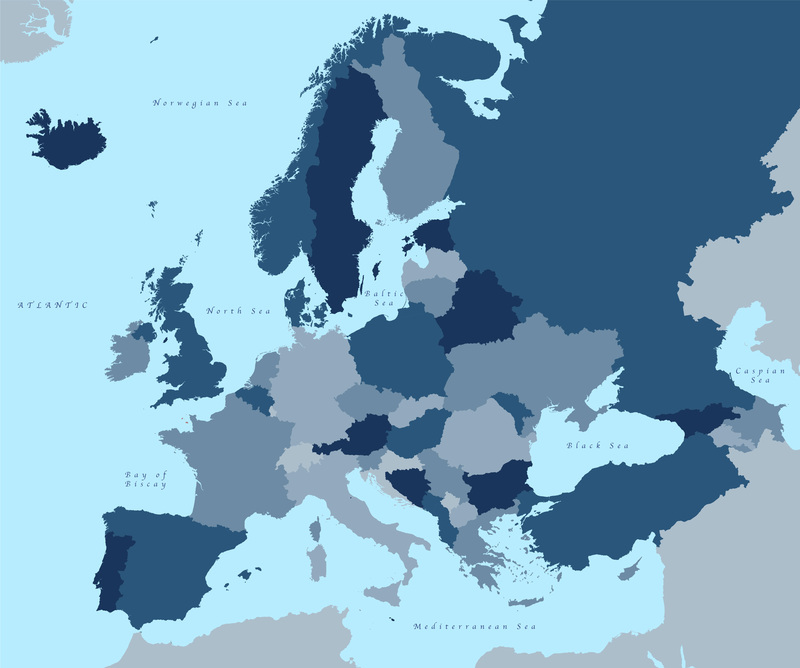 The map includes all the countries that are defined in a broad geographic and cultural sense as European. This includes countries that are only partially in Europe, such as Turkey.